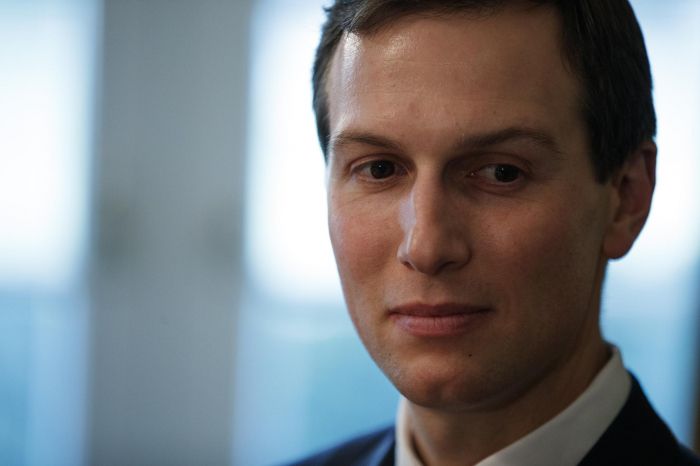 Jared Kushner was spotted by reporters leaving a secretive Senate Intelligence Committee hearing just six days after Special Counsel Robert Mueller concluded his investigation into Russian interference in the 2016 election. The Senate committee, which is still carrying out a probe into Russia’s actions during the election, apparently met with the White House senior adviser during a closed-door hearing on Thursday afternoon in Washington. Mr Kushner declined to respond to questions from reporters on the scene about why he was meeting with the Senate Intelligence Committee. He also did not answer any questions about Attorney General William Barr’s four-page summary of the special counsel’s report. He was in the closed-door hearing for nearly three hours, according to Mr Leopold. The meeting was held in a secure space, known as a Sensitive Compartmented Information Facility, or SCIF, and began at 9:30am local time. The Senate Intelligence Committee is just one of several government committees and state agencies investigating Donald Trump’s 2016 campaign and Russia’s purported connections, as well as the president’s finances and dealings with the controversial Deutsche Bank. Mr Kushner, who has previously been interviewed by the Senate Intelligence Committee, is among at least 81 contacts surrounding the president who were the subjects of requests for information from Democratic lawmakers conducting probes into the 2016 election and Mr Trump’s finances. The White House recently rejected a request from the House Oversight Committee for additional information on the administration’s security clearance process. It had been previously reported Mr Trump stepped in to order Mr Kushner and the president’s daughter, Ivanka Trump, receive top-level clearances, defying the counsel of experts and the agency tasked with overseeing security clearance applications.